Our Beginners class is primarily dedicated to create a solid foundation in ukemi (falling) and kihon waza (basic technique). The primary focus of this class is to develop basic body movement thru the practice of aiki taiso, tai sabaki, te sabaki and incorporating those principles in to basic technique. 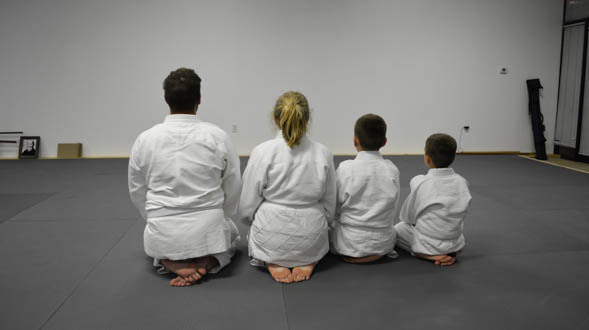 While the techniques being practiced here will cover all requirements between 7th kyu (white belt) to 1st kyu (brown belt), the intent is to primarily focus on 7th and 6th kyu techniques, thus preparing the beginners to be able to be integrated into the intermediate / advanced class.